When We Talk About The Black Experience, Where Are The Women? A review of the new book by Ta-Nehisi Coates, Between the World and Me. Toya Graham, the mom who was videotaped slapping her son, during the recent Baltimore riot wasn’t having it. Since her son didn’t have enough sense to make the right decision, she made the decision for him: take your behind home! I applaud Toya for not allowing her son to get caught up in the disturbance, which could have resulted in his arrest; changing his life forever! Way to go Toya! If more parents took the responsibility for raising their children, then we wouldn’t have to continue asking the question: What’s wrong with Black youth? And, you didn’t hear that from me! Nothing In = Nothing Out! 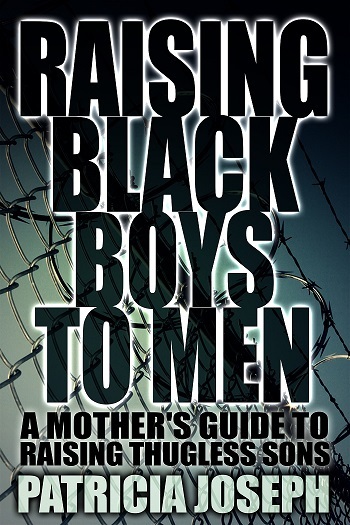 In order for Black boys to grow into responsible, young men, they must have the necessary knowledge and guidance, which helps in their development. Children aren’t raised in a vacuum — they must be taught values (respect, honesty, integrity, acceptance of others, etc.) and principles that help them to make the best decisions, as they grow into young adults. If we leave their development to chance, hoping that they’ll just turn out okay, then we shouldn’t expect much. Raising sons demands direct involvement from parents, particularly mothers; since she is the first teacher. She builds the foundation upon which her son will stand and grow into a young, Black man. If she teaches him nothing, then it’s only a matter of time before we see what he’s been taught. And, by that time it may just be too late! I think about all the mothers, like myself, who’ve raised sons and feared for their sons’ safety — not infrequently, but on a daily basis. We’ve watched our sons leave the house, and have prayed for their safe return. But, for some mothers, their son didn’t come home — a son lost to another senseless crime. Sadly, for many mothers, this is their reality!